David Le/Gloucester Daily Times. 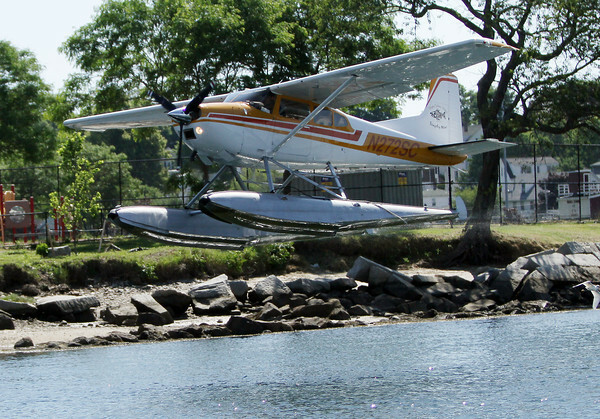 A Cessna 180 water plane piloted by Keith Deschambeault, owner and pilot of Acadian Seaplanes, of Rangeley Maine, takes off from the Blynman Canal on Friday morning. 7/1/11.